In an interview to bcci.tv, Kohli highlighted his discussions with Roger Federer which varied from mindset to preparation. Virat Kohli has made a perfect start to 2019. Skipper Virat Kohli's year started with leading India to a One-day International (ODI) series triumph over Australia. Virat Kohli along with his wife Anushka Sharma also met Roger Federer at the Australian Open. 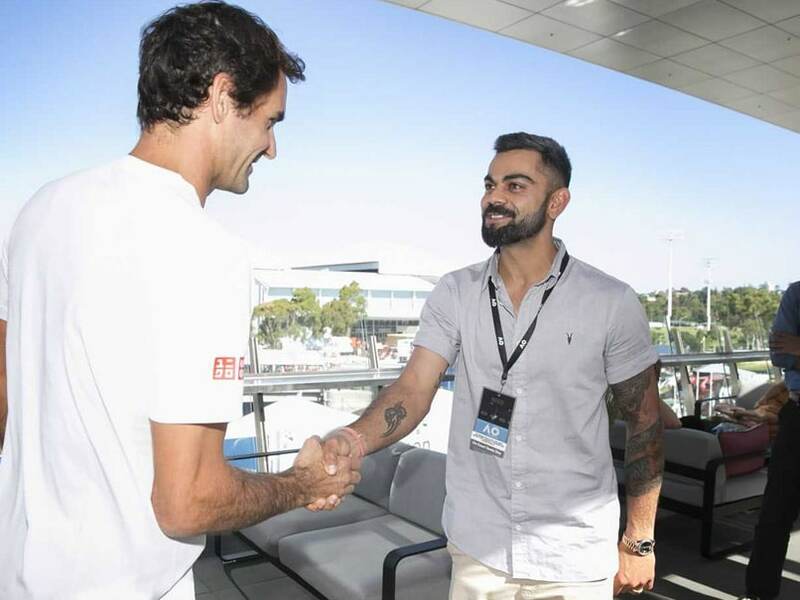 During his meeting with the Swiss legend Roger Federer, Kohli was amazed to find out the superstar from the world of tennis still remembered him. In an interview to bcci.tv, Kohli highlighted his discussions with Federer which varied from mindset to preparation. The 30-year-old concluded by saying it was a "beautiful time." "Well...amazing, I have met him (Federer) a couple of times earlier as well. He told me that he met me in Sydney a few years back. The fact that he remembered was like...wow! He told me that he met me in Sydney few years back when he played an exhibition game," Kohli said. "For me, I mean.. I can't explain that feeling. I have seen him play since I was a child and he's a great, great man not just a great tennis player. "And he kept asking questions...I was like he's asking me questions? I could speak to him about mindset, how he prepares, what he thinks about his sport," the first captain to help India win a Test series in Australia added. "And it was just a beautiful, beautiful time." Under Kohli's captaincy, India's fine run continued in New Zealand after the team won the second ODI to take a 2-0 lead in the five-match series. Kohli will be next seen in action during the third ODI on January 28. It will be a chance for the visitors to seal the series against New Zealand.